A fun reunion of college friends!!! Typical Dileep Movie (and that's not a bad thing). An entertaining Malayalam Heist Thriller. Another comedy entertainer from Biju Menon. A very well done True Story!!! Great cast to play the leading roles!!! 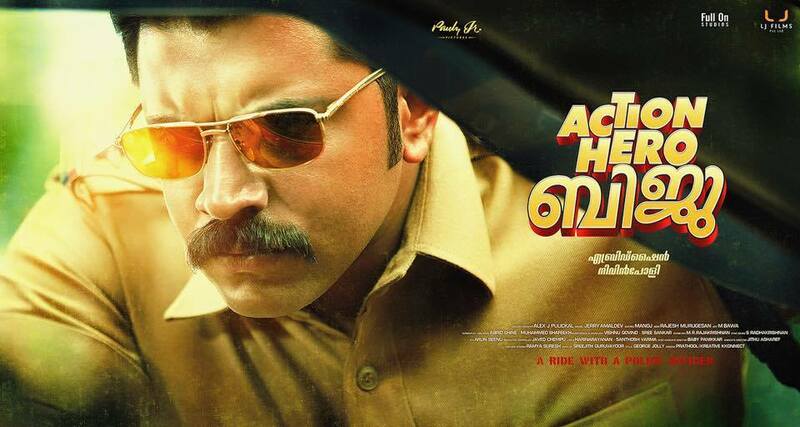 Not what I expected from a Dileep Movie - in a Good Way!!! Premam is the biggest Movie of the year (and maybe ever at this rate)!!! Nivin Pauly at it again!!! Biju Menon has found his niche!!! A Ride with a Police Officer!!! Fresh of the success of Premam, Nivin Pauly is back with a very different take on the traditional Movie. More than a movie, it's a documentary about what could possibly happen at an average police station. That being said, it was very enjoyable and had couple of beautiful songs. Lukka Chuppi is the only Malayalam movie I know of that has the "Alcohol is injurious to your health" banner on the movie for pretty much the entire film. The entire movie happens in the span of like one night when a bunch of friends get together after a very long time. A fun watch. At this point, if it's a Prithviraj movie, you can go to it with confidence that it will be a better than average movie guaranteed. Through the repeated hits he has proven that he is selective and values the audience' time. Pavada is very entertaining and Prithviraj does an excellent job (as expected). Jayasurya, in my opinion, is the best all around actor we have in Malayalam Currently (Yes, I said it!!!!). He is one of the few that can pull of a wide variety of characters. Su..Su... Sudhi Vathmeekam is delivered beautifully, keeping my attention throughout. Definitely watch this one. Two Countries is exactly what you would expect from a "Dileep" movie. Similar to "My Boss", Mamta Mohandas and Dileep are once again a pairing that will keep you laughing throughout the movie. Kohinoor tackles a genre not usually seen in Malayalam Movies. It's a Comedy Heist Thriller with a solid (and large) cast. Biju Menon is having a good run at movies with him in the lead. Salt Mango Tree will give you some good laughs.